Product prices and availability are accurate as of 2019-03-22 07:30:50 EDT and are subject to change. Any price and availability information displayed on http://www.amazon.com/ at the time of purchase will apply to the purchase of this product. 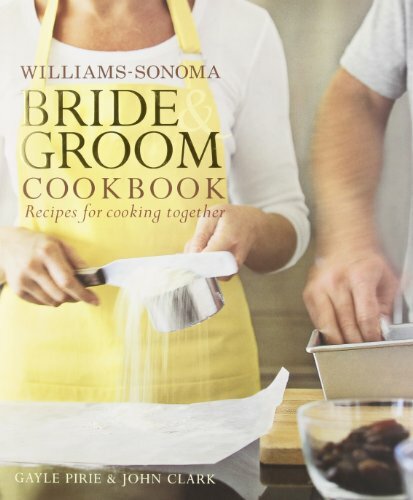 Williams-Sonoma presents its first bride & groom cookbook: a beautiful guide to everything newlyweds need to know about cooking for two, from stocking a kitchen to quick weeknight dinners to preparing a first holiday feast. Whether it was a whirlwind romance or you've known each other for years, you are entering a new stage of life. Now that you're married, it's time to think about the new life and traditions you'd like to create. Often our fondest family memories are centered around the dinner table, with the fulfilling meals and companionship it offers. To create this cookbook, Gayle Pirie and John Clark have drawn from their experience as restaurant chefs and on their shared history as a married couple. They have cooked in some of San Francisco's best restaurants for nearly twenty years, so they know how to make food taste delicious. But they also know what it's like to come home from a long day of work and want to create a comfortable haven for their family. 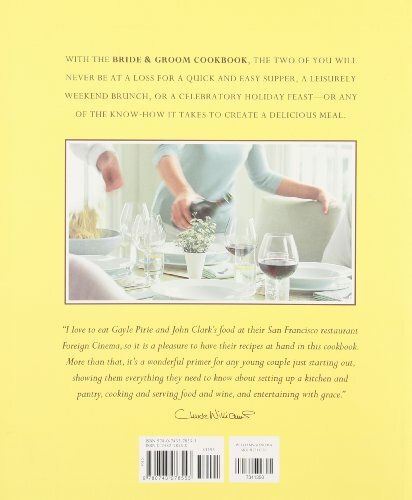 In these pages, Gayle and John have brought together dozens of their own favorite dishes that can create hundreds of family meals. Knowing that most of their readers won't have learned the art of cooking at their grandmother's knee, they've also included the basics. 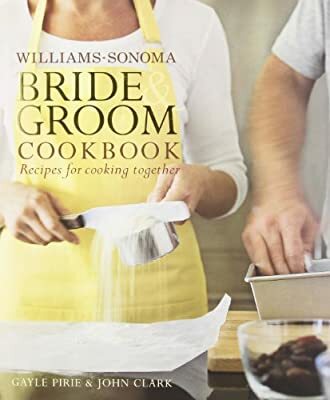 The Bride & Groom Cookbook explains all you need to know about setting up a kitchen and pantry with essential equipment and ingredients, combining dishes to create a meal, and even cooking methods. If you're already comfortable in the kitchen, you'll find plenty of valuable advice on pairing wine and food, serving a cheese course, and gracious entertaining. 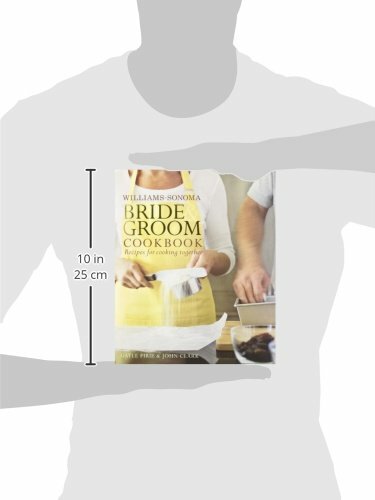 The two of you could take only one cookbook with you as you embark together into this new and rewarding stage of life, the Bride & Groom Cookbook would truly be the one.